Let’s begin by understanding what inflammation means. Our body has a natural defense mechanism that fights anything unrecognizable that enters it such as microbes, viruses or chemicals. This process is called inflammation and it helps in protecting your health. 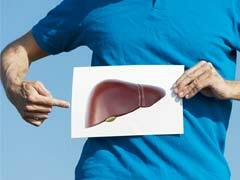 However, sometimes when the immune system overreaches it may start attacking the healthy tissues and cells. This is when inflammation can become detrimental to your health and can cause chronic diseases like cancer, diabetes, arthritis or even depression. One of the most powerful ways to combat inflammation is to fortify your diet with anti-inflammatory foods that can balance it out in your body. Certain foods may accelerate the inflammation process but by choosing the right foods you can prevent the risk of many illnesses and diseases. 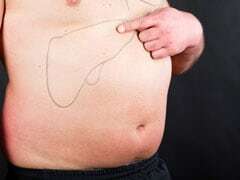 Unhealthy foods like refined carbs, fizzy drinks and processed food not only lead to weight gain but they may also contribute to inflammation in your body. On the other hand, there are plenty of foods that can help you combat inflammation. Such foods contain natural antioxidants and polyphenol that act as protective compounds that can help reduce levels of inflammation. According to WebMd, antioxidants protect the body from damage caused by harmful molecules called free radicals which stimulate inflammatory cells. Vitamins like A, E and C act as natural antioxidants that helps in destroying damaging oxidizing agents that can accelerate the inflammation process unnecessarily. Here are some of the best anti-inflammatory foods you must include in your diet as suggested by Dr. Rupali Datta, Chief Clinical Nutritionist, SmartCooky. A wonderful spice that actually doubles up as a powerful anti-inflammatory. 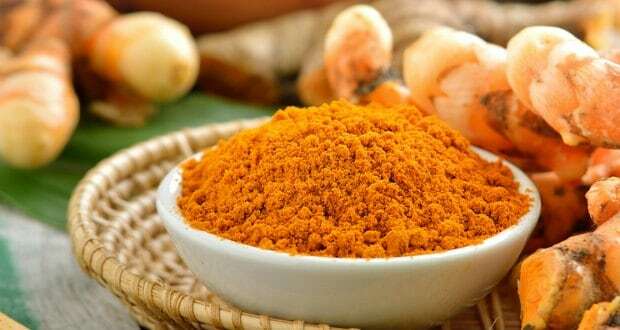 Curcumin, found in turmeric, helps in reducing inflammation naturally. It has been found especially helpful in treating arthritis, irritable bowel syndrome, inflammatory bowel disease and even asthma. Inflammatory process can cause pain, swelling or redness. Curcumin’s anti-inflammatory properties help in reducing these symptoms. 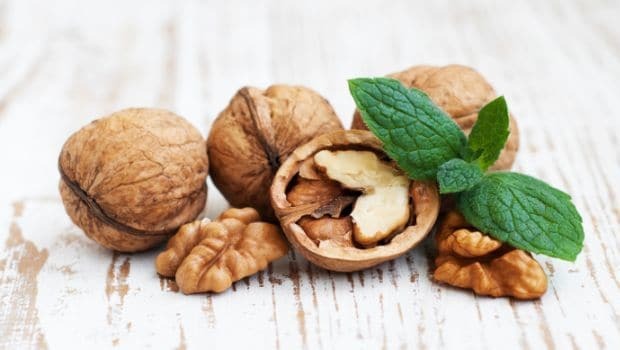 Walnuts are an excellent source of anti-inflammatory omega-3 fatty acids. Certain enzymes present in walnuts inhibit production of neurotransmitters that cause pain and swelling. They are also packed with alpha-linolenic acid and phenolic antioxidants that help in combating free radicals. You can also dote on almonds. 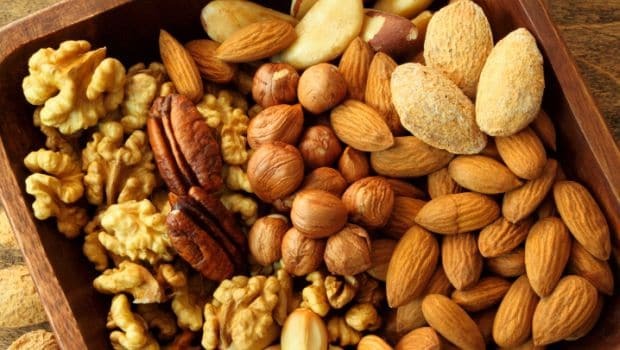 According to a study conducted by University of Michigan, almonds contain more anti-inflammatory Vitamin E than other tree nuts. Green tea is known to be a great antioxidant. The high amounts of catechin polyphenols that green tea contains make it such a powerful antioxidant. It is rich in anti-inflammatory flavonoids that pick up the free radicals that may cause damage. 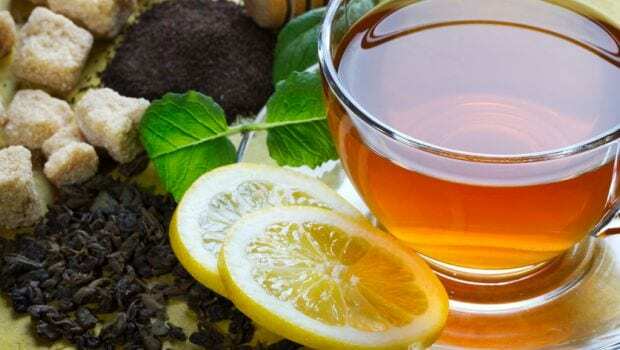 These active constituents of green tea may protect against cellular damage by stopping free radicals and blocking the overproduction of inflammatory substances. 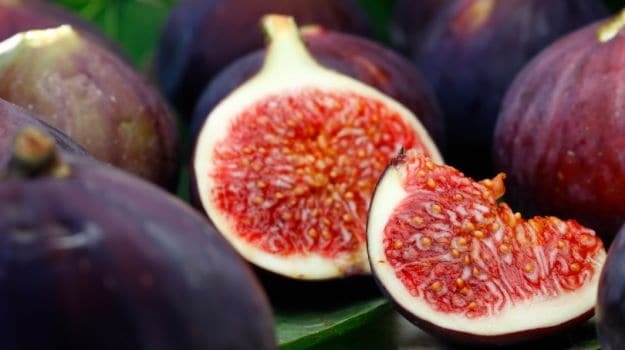 Also known as Anjeer, figs contain flavonoid luteolin that supresses the activity of inflammatory cells. Figs also contain another flavonoid called quercetin. Chronic inflammation in your body leads to the production of free radicals that stimulate the release of inflammatory cells that may start attacking the healthy cells. The antioxidant properties of quercetin can stop this cycle of inflammation, which may help in lowering your risk of heart disease high blood pressure and high cholesterol. The volatile oils in basil contain a compound known as eugenol which has strong anti-inflammatory properties. As an antioxidant, basil can basil can protect your DNA from radiation and oxidative damage. 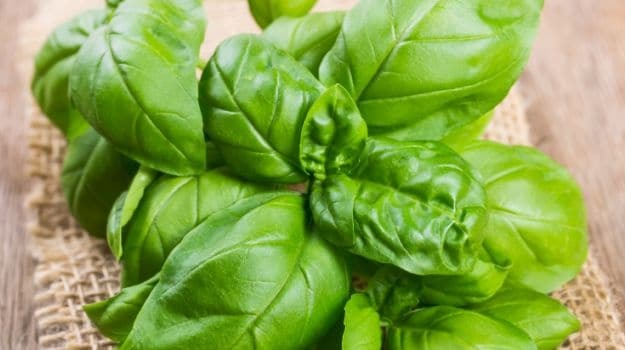 A research presented at the British Pharmaceutical Conference in Manchester suggests that eating fresh basil leaves can help in easing the swelling and pain of arthritis. The study showed that when taken orally, concentrated extracts from two types of basil reduced joint swelling by up to 73 per cent within just 24 hours. Make room for a handful of flaxseeds in your daily diet because there are enough reasons to do so. Flaxseeds are packed with inflammation reducing omega-3 fatty acids. 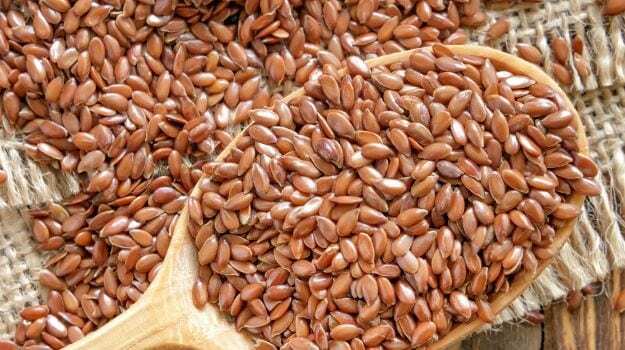 Anti-inflammatory compounds like lignans and flavonoids found in whole flaxseeds make it so nutritious. It’s best to have ground flax seeds as it is easier to digest. CommentsLeafy vegetables, especially like the dark green spinach leaves make for great anti-inflammatory foods. 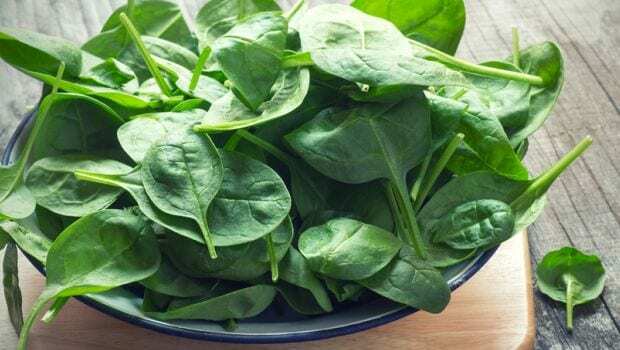 Spinach is extremely high in antioxidants Vitamin A, Vitamin E and Vitamin K. These nutrients can protect your body against the oxidative stress caused by free radical damage. Vitamin E, particularly, protects the body from pro-inflammatory molecules called cytokines. Dark vegetables like kale and broccoli also contain more disease-fighting phytochemicals like calcium, iron and fiber than light coloured vegetables. 8 Pomegranate Juice Benefits: From Improving Memory To Fighting Inflammation And More!